Fading pastels and cobblestone streets, colonial relics and crumbling facades, Cadillac chrome and cigar smoke, revolutionist monuments and tranquil beaches, Cuba is a country like no other. Just 90 miles from US soil, the Caribbean island of Cuba has remained elusive to most Americans. Since 1961, Cuba has been closed off to the non-communist world. The first scheduled commercial flight between the US and Havana was an American Airlines flight that landed on November 28, just a few days after Fidel Castro died. Traveling to foreign countries can be intimidating; Trump Tours makes sure your Cuba experience is rewarding, safe and memorable. We facilitate 100% of your travel, accommodation and itinerary arrangements from departure to return. Group size ranges from 6-12 passengers. All Trump Tours are fully escorted by tour professionals. 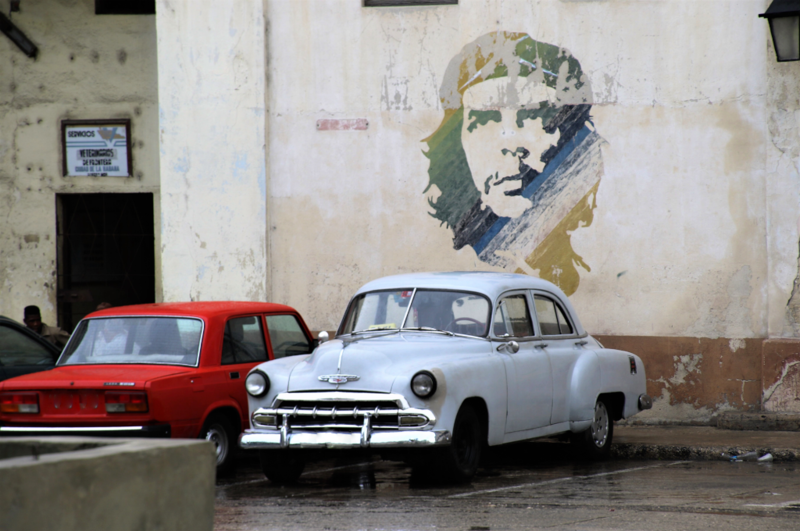 Can I travel to Cuba for tourist activities? How do I get a Cuba Travel Visa/Travel Card? Do I need travel insurance to travel to Cuba? Do I need shots/immunizations to travel to Cuba? Are credit cards widely accepted in Cuba? How much money should I take to Cuba? Can I purchase Cuban cigars and rum? How much should I tip in Cuba? Will my cell phone work Cuba? What type of electrical plugs are used in Cuba? What is the weather like in Cuba? Will there be internet access in Cuba? How should I dress while in Cuba? Yes, it is legal to travel to Cuba without a license or paperwork as long as your purpose of travel fits into one of the twelve US government approved categories. Trump Tours operates all tours under OFAC regulation 515.565(b) - Educational Activities in Cuba, including People-to-People Exchanges. You may not travel to Cuba as an individual. Book with Trump Tours to see Cuba! Tourist (recreational) travel to Cuba remains prohibited. You must obtain a license from the Department of Treasury or your travel must fall into one of 12 categories of authorized travel. You may not travel to Cuba as an individual. Book with Trump Tours to see Cuba! Yes. Any American traveling to Cuba will need a valid U.S. passport. Trump Tours suggests your passport be valid for at least six months from your return travel date. Two pages are required for entry/exit stamps. Trump Tours will assist with this process once your reservation has been made. Current price is $50USD. Cuba is considered one of the safest countries in the world due to the large military presence. Nonetheless, always be vigilant with your possessions. 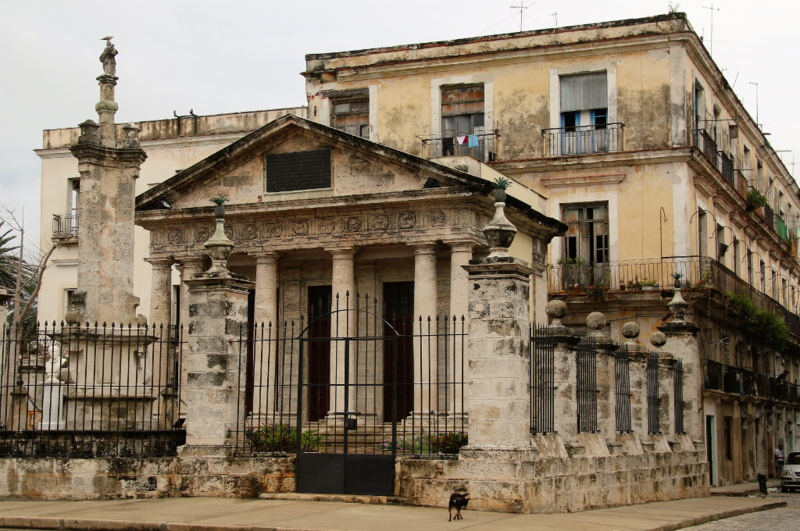 Cuba requires visitors to obtain Cuba-specific medical insurance. A temporary policy will be automatically included in the cost of the passengers airfare. Passengers must retain their boarding pass during their stay in Cuba. The boarding pass will serve as evidence of the insurance policy should any emergency medical services in a hospital be required during the trip. Trump Tours offers additional travel insurance coverage for all tours. Please check with your local health department in regards to shots and medications needed for travel to Cuba. Also, check the Center for Disease Control and Prevention website for immunizations for traveling to Cuba. The major legal currency for Cuba is the Cuban Convertible Peso, CUC. It's what you exchange your foreign currency for and make all your purchases with in Cuba. Most tourists will only ever deal with CUC. For international exchange purposes 1.00 Cuban Convertible Peso = $1.00 USD. There is a 10% penalty plus 3-4% exchange fee for US Dollars. The regular Cuban peso (moneda nacional - MN) is what Cubans use in their general economy. In some places, when paying with CUCs, you may receive change in MN. You will need cash for all spending money in Cuba. Cuban ATM’s, in general, do not work with US based debit cards. Spending money is needed for drinks, souvenirs, snacks, personal items, a few meals, and tips for the driver and guide. Try to change money in Havana or at the hotel. Cuban law restricts a maximum of US $5,000 per person in cash to enter the country. As of October 2016, you can bring back up to 100 cigars and up to 1 liter of alcohol duty free. They must be for personal use. Havana Club is the state controlled rum producer. The state also controls the production of cigars. There is no monetary limit on articles purchased for personal use IF they are purchased from a self-employed private entrepreneur in Cuba. Please see www.cbp.gov for further information and any changes in the above information. Recommended tipping percentage is 10%-15%. Tipping, while not mandatory, is desirable and for the most part expected. Essentially, if anyone speaks English and assists you, they will expect a tip. Your tips will benefit the whole island. You should not plan on using your cell phone in Cuba. The best way to contact family while in Cuba is to call them from your hotel room and have them call you immediately back. Note: Do not make long-distance calls directly from your hotel room without first checking carefully on the cost of the call. You will find a mix of electrical currents and plug types used in Cuba. Around 90% of the hotels and casas particulares use a 110-volt current with standard U.S.-style two- or three-prong outlets. However, some outlets are rated 220 volts, particularly in hotels that cater to European clientele. 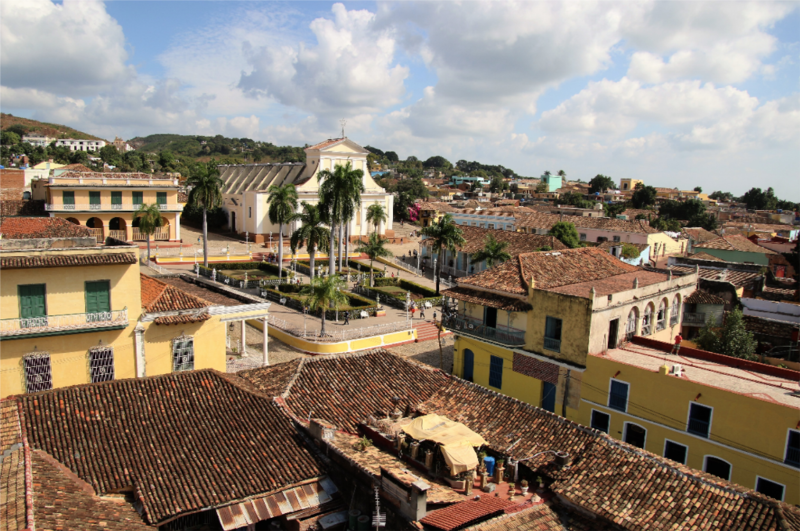 Cuba is in the UTC-4 Time Zone, which is 1 hour ahead of United States Central Time Zone. It is advisable to drink only bottled water. Tap water in Cuba is generally safe for hygiene in hotels. Bottled water can be purchased throughout the country. Cuba has a subtropical climate, with an average temperature of 25 degrees Celsius (77 Fahrenheit) in winter and 31 degrees (88 Fahrenheit) in summer. Temperature in Cuba is given in degrees Celsius (ºC). There is typically a light breeze, which cools down the high daytime temperatures at night. Which is quite exceptional for a subtropical climate. Cuba has a rainy season from May to October. The mountain areas have an average precipitation of more than 180 cm (70 in); most of the lowland area has from 90 to 140 cm (35–55 in) annually. The official language spoken in Cuba is Spanish and it is the first language of about 90 percent of the entire population. Other languages spoken in the country include Haitian Creole, Lucimi, Galician, and Corsican. Most hotels have internet service for an additional charge. The Wifi is slow speed, so uploading/downloading pictures and larger files is difficult. Service is very spotty, even in the best hotels. Cuba is quite casual. Please wear close toed shoes for farm visits. Don’t forget hat, sunglasses and sunscreen. There are no formal nights. However, you are welcome to dress up for dinner if you please. Since Cuba can be such a warm country, the keyword is light. Opt for cotton or linen—something that lets your skin breath. Owners, Tiffiny and Ralf, have a passion for traveling through this beautiful world, and have traveled to over 65 countries and most of the 80 US states. Trump Tours has been professionally organizing group tours since 1999! The Trump Tours team takes the hassle out of planning. We will take care of all the little details and be that one stop shop for the trip, your airfare, travel insurance, and all the rest of your travel needs, so you can enjoy a hassle and worry free tour. Our professional and friendly staff responds quickly and efficiently to your requests. You can reach a live person from 8-5. Working with Trump Tours is easy - knowledgeable staff, fast responses, and quick turnaround on inquries. Recipient of Governor's Award for Excellence in Global Trade, 2012. Member of Agricultural Tour Operators International, National Tour Association, American Bus Association. Trump Tours is licensed and insured! Trump Tours has been professionally planning quality group tours since 1999. Have your tour organized by professional tour operators with travel expertise! Trump Tours, based in the United States, is a creative and engaged company that focuses on the unique and specialized needs for group travel. Tours to Cuba, Groups Tours to Cuba, Cuba Group Travel, Authentic Cuban Tours, Legal Travel to Cuba, Cuba People to People Tours, Cuba Group Vacations, Guided Cuba Tours, Cuba Tours for Americans, Professional Tour Operator.